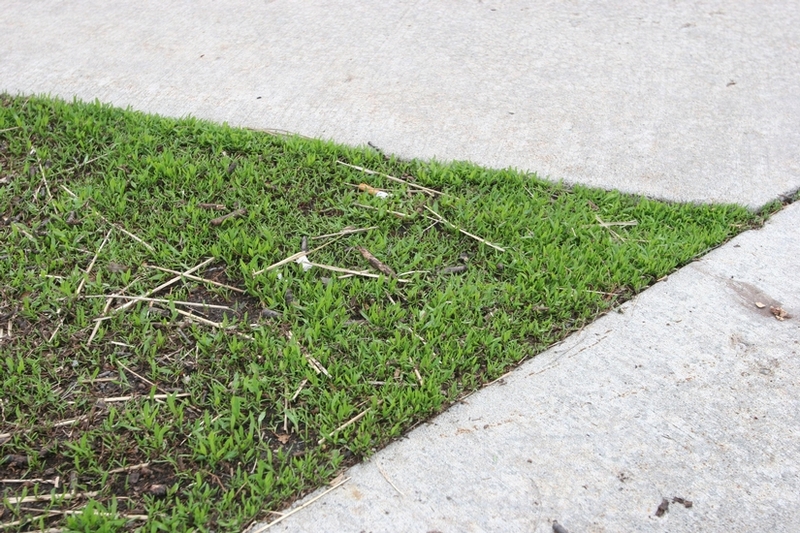 A prostrate summer annual with small, elliptic leaves that is primarily found in compacted areas of turfgrass such as pathways or sports fields. 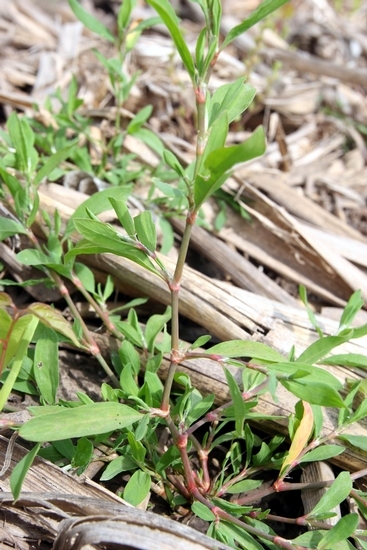 Prostrate knotweed is found throughout the United States. 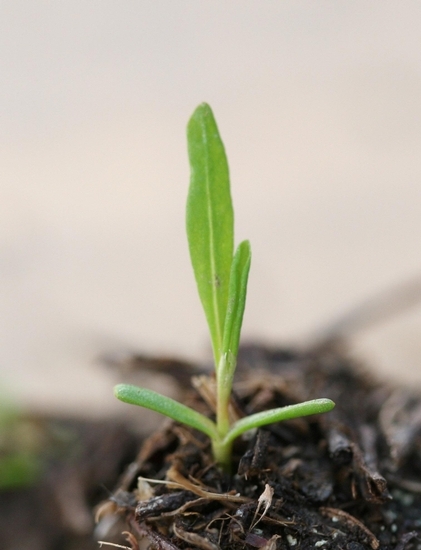 Cotyledons are narrow, linear in outline, often resembling and being mistaken for a grass. 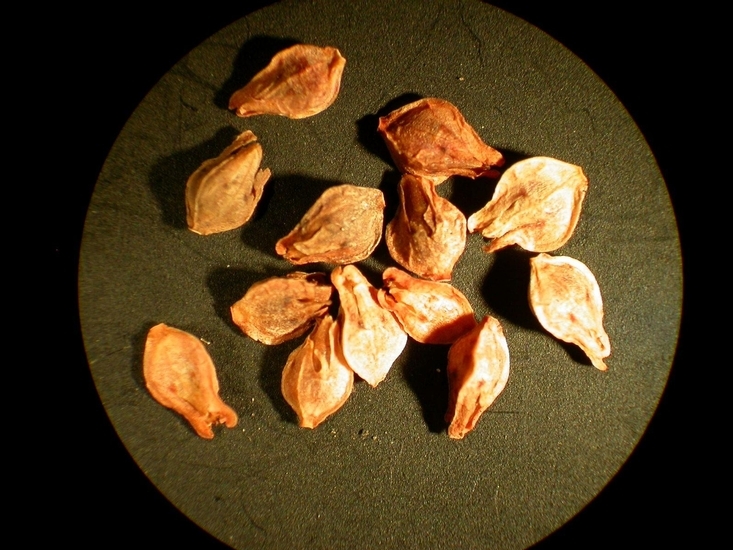 The stem below the cotyledons (hypocotyl) is often reddish in color. Arranged alternately along the stem, lanceolate in outline, approximately 1/2 to 1 1/4 inches long and 1 to 8 mm wide. 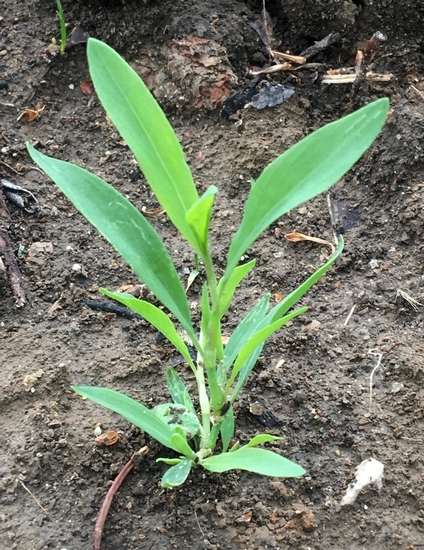 Leaves have short petioles and a distinctive thin membranous sheath (ocrea) that encircles the stem at the leaf base. 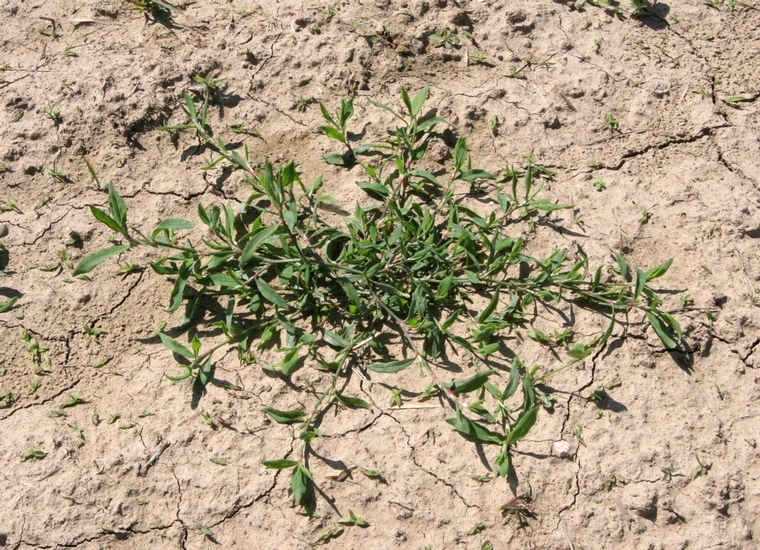 Branching, growing prostrate along the ground, ranging from 4 to 24 inches in length. 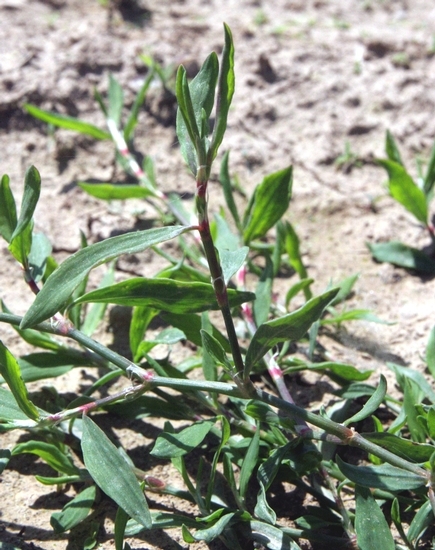 Stems are swollen at the nodes with a thin membranous sheath (ocrea) encircling the stem at each leaf base. 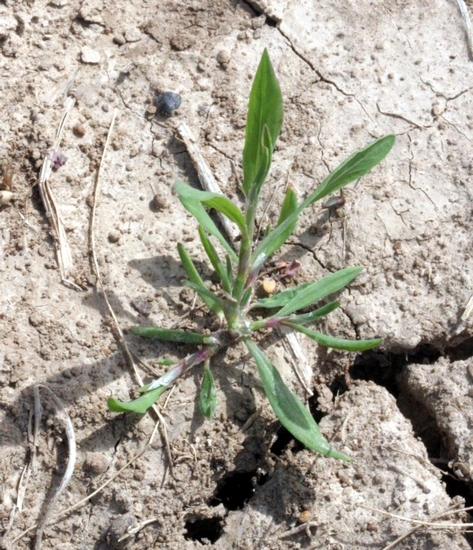 Occur in the area between the stems and leaves (leaf axils). From 1 to 5 flowers occur in clusters and are very small and inconspicuous, white to pinkish-white in color. A dark red to brown achene. 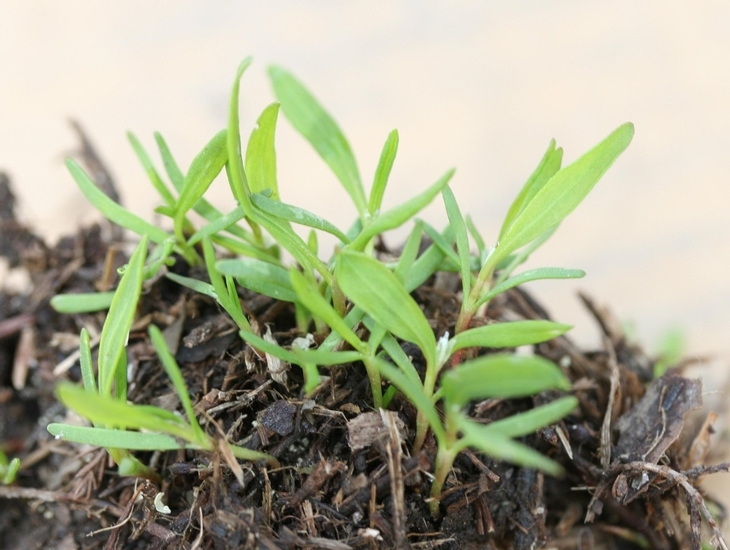 Prostrate-growing plants with small lanceolate leaves that are primarily found in hard compacted areas of turfgrass and landscapes. 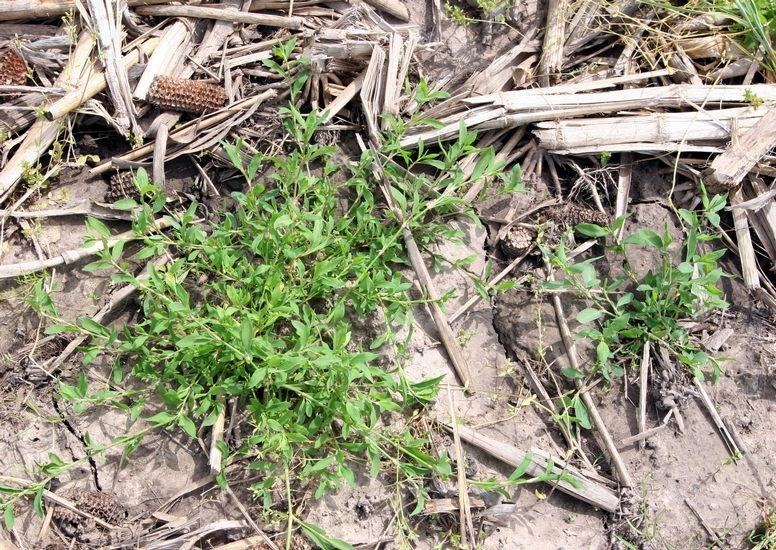 Some of the spurges like Spotted Spurge (Euphorbia maculata) may be confused with prostrate knotweed, however the spurges do not have an ocrea and emit a milky sap when cut unlike prostrate knotweed.